You don't need to travel to Greece to read a text in Ancient Greek. The John Rylands Library gives you a unique opportunity to identify some letters of Ancient Greek (which is the same with Modern Greek) through a papyrus fragment. The Fragment of the Gospel of John is one of the Library’s most famous artefacts and it is written on both sides. Why not trying to identify the letters on it and try to combine them in order to make words with actual meaning? Download the Greek Alphabet and let your eyes reveal the secrets of the past! Unlock your mind and start learning Greek! 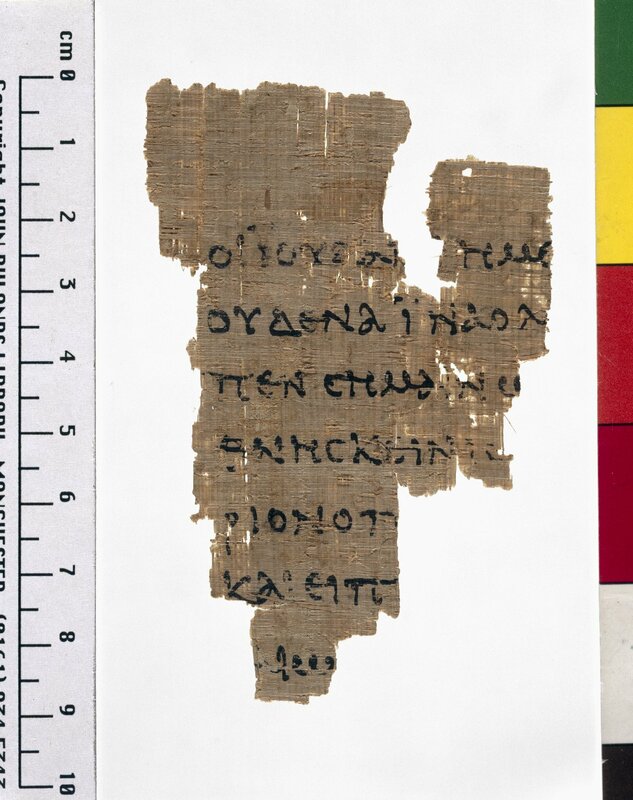 Image of this article: Greek Papyrus 457, Copyright of the University of Manchester.